The Garden Drinks Holder pack consists of 4 Wine Glass Holders and 1 Bottle Holder. Never worry about an uneven surface again. 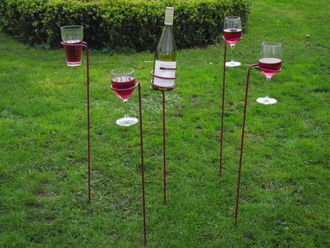 A simple yet brilliant hands free glass holder is ideal for any outdoor entertaining in the garden, at picnics, barbecues - glass holders are even ideal at the beach, open air concerts & festivals...in fact take the glass holders to any outdoor event. Our Drink Holders are hand crafted from Solid Steel and powder coated to last. 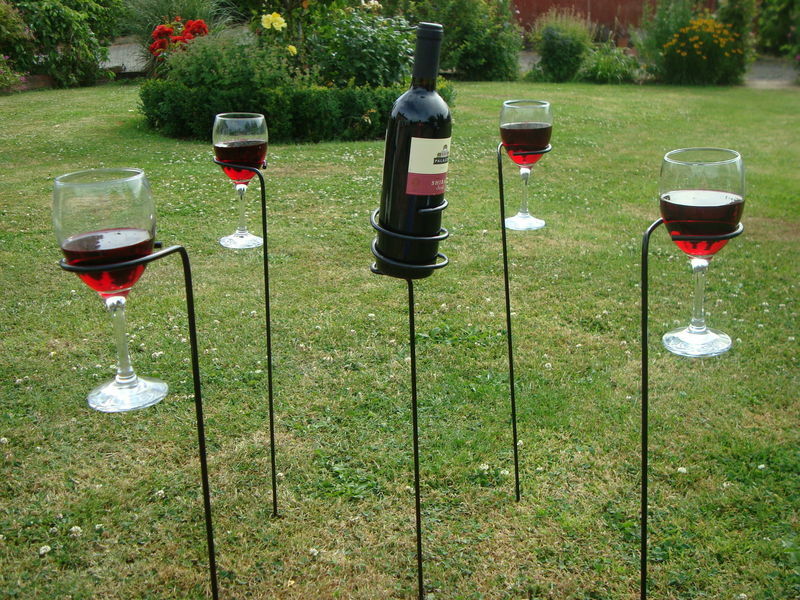 To use the Drink holders, simply press into the ground and use - thats it. Enjoy!